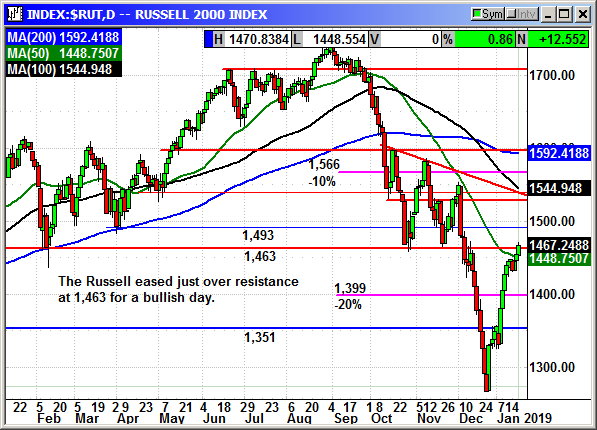 The Russell was the strongest index again with nearly a 1% move. This is a bullish setup for the market with the small caps leading the big caps and the outlook for China trade improving. Fund managers are easing back into the small caps and the index closed just over prior resistance.